Did I enjoy my week of drinking Champagne? Well of course I did. It was Christmas and then New Year’s, which always puts me in a good mood. And then I was drinking Champagne. Whatever you think about the marketing fads or the price or whatever negatives you can think about it, wines from Champagne are still great to drink. In terms of individual bottles I drank, I’m struggling to come up with a favourite, just because I was concentrating so hard at picking out the differences. I kind of forgot to think about which one I preferred. I tried the 6 in the photo above on Christmas morning (just a glass each mind!) with the bacon muffins, and a bottle of the Tesco’s Finest with the fish and chips on New Year’s Eve. Don’t worry, I’m not going to bore you with 7 sets of tasting notes. What I would say though is the similarities and differences are just as I’d expect. Champagne makers (be them the famous houses, the co-ops producing the BoBs, or the smaller independent producers) have got it down to a fine art. Champagne tastes like Champagne. That’s the point of it! All of them had incredible acidity. Between bites of my bacon muffin, my mouth just kept watering. I wanted to eat more and I wanted to drink more. The yeasty flavours were the biggest kick when you smelled any of them. From the very toasty Lanson Black Label to the sweeter brioche taste of the Heidsieck Silver Top, it was there in abundance. You could slowly tell the grape make-up of the wines too. At extreme ends were the green apple and steely minerality of the Blanc De Blancs (100% Chardonnay), to the strawberry/raspberry and tangy finish of the Blanc De Noirs (blend of Pinot Noir and Pinot Meunier). In the middle were a mix of the two, made to an increasingly obvious house style. My take home from this week is that, for all my own reservations, Champagne is a top drink. It’s a great drink for a lot of different foods, and it’s not just all the same. I just need to remember to pick some favourites next time. 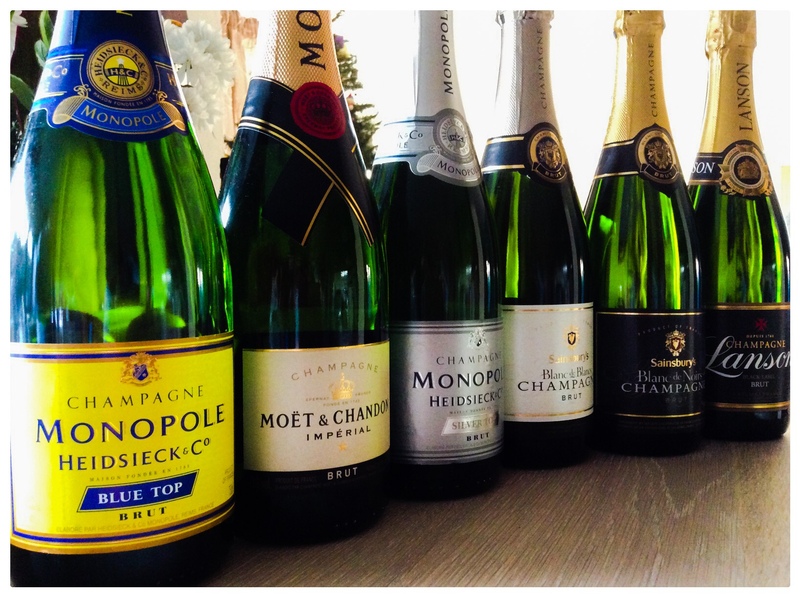 #NWTW Week 51: Champagne as We Know It? Thank the English! #NWTW Week 51: What Champagne Should You Buy? Great words to describes the notes of my favourite libation! I will not judge you for the worse if you had more than one glass – fess up already. But I will if any if that nectar went to waste – quel horreur! Happy 2015 to you & winegeek! Think I ended up having about 2 glasses from each bottle….followed by a long afternoon nap!